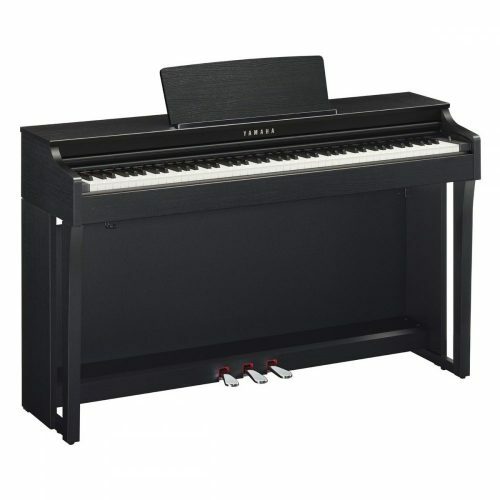 The only baby grand digital piano that can be played both as a normal piano and set to play by itself (player piano) – keys move up and down on their own. You can connect it to a pc or iPad. It can even be programmed from a distance with the remote control. It has 1000’s of built-in songs: classical, jazz, blues, pop, rock, gospel, ragtime and much more… You can even download more music from the internet. …Turn the piano on, sit back and hear it play songs all by itself. for restaurants that want background music playing… guaranteed to turn heads! Saves having to pay a pianist! gospel, ragtime and much more…) and you can set it so it plays songs continuously. aren’t already in the library. The Abundant Sound of the ROS V.5 Plus (Real Orchestra Sound Version 5+). The ROS V.5 Plus sound source combines an innovative and unique sampling technology with the sound of finest European grand pianos to produce its refreshingly new sound. With the innovative and unique sampling technology in one pocket, and the sound of the finest European grand pianos in the other, the ROS V.5 Plus sound source now enjoys a new birth in its refreshingly new sounds. It has a uniquely expressive tone colour, its sound deeply resonating with its player providing the most satisfactory playing experience. Equipped with the sounds of top tier European grand pianos, the ROS V.5 Plus employs the large-capacity MLFSS (Multi Layered Full Scale Sound) to offer its two distinguished grand piano voices. One button click is all that takes to pick your choice that suits your music. These quality grand piano voices could serve many kinds of musical interests. The ROS V5 Plus supports a total of 8Gb of memory in order to store all its large-sized MLFSS (Multi Layered Full Scale Sound) and MLS (Multi Layered Sound) sources. 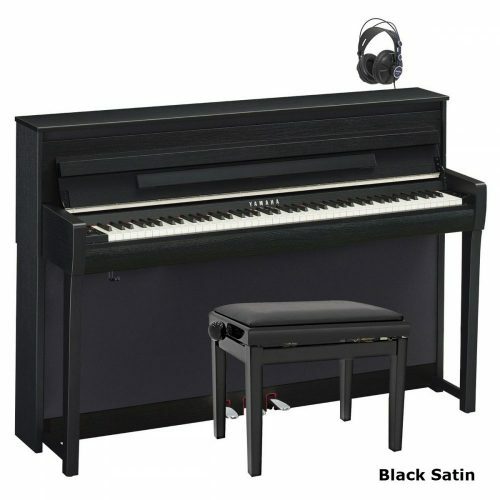 The MLFSS (Multi Layered Full Scale Sound), with its extremely large data size, assigns separate sample data to each portion of dynamic range which is divided into many levels, allowing natural expression of forte and piano. To play it is like to have many different types of high-end grand pianos in one hand, due to its inclusion of diverse grand piano sounds with differing characters. With this wide selection of grand piano voices, all genres and styles ranging from 18th century Baroque to contemporary music are fully covered, its expression more accurately in the character of the style. When a grand piano is played it produces a variety of different sounds that are not directly resulting from the keystroke – the product of various resonance phenomenon. It captures each of them into its digital pianos in order to provide more authentic piano-playing experience. This feature, called the Acoustic Simulator, allows to closely emulate the characteristics of acoustic piano sounds. String resonance, damper resonance, damper samples and key-off sounds are all included in the samples as to bring the sensational experience of hearing the sound of a concert grand in a resonance-optimized concert hall. The string resonance emulates the vibrations of sympathetic strings that occur when playing a grand piano. While a note is being held down, playing an additional note whose frequency is a multiple of the first one causes all strings sympathetic with that overtone series to vibrate. This resonance effect is applied to the sounds so that the authentic grand piano sound is replicated allowing for fully resonant harmony.  The damper resonance refers to the particular resonance effect that takes place when using the damper pedal. When the pedal is pressed all dampers inside the piano are lifted from the strings, and it is the sound resulting from the interaction between notes and dampers that is sampled. Differing effects are provided depending on the depth the pedal is pressed. Also, the damper samples capture the natural vibrations of all free strings except the ones played, with the dampers raised above the strings. These in-depth resonance and other subtle components of piano sound, along with the brand new enhanced keyboard is designed to provide natural playing experience, embellished with all-natural touch, response and sound. Larger number of maximum polyphony allows a digital piano to play more notes simultaneously without running out of handling capacity which causes loss of earlier notes. There is a maximum 256 notes of polyphony in the Broadway MK11, which is enough to fully support the performance by professional pianists. The equalizer system divides the full frequency range of piano sounds into four levels consisting of high (~2.6KHz), middle-high (~1KHz), middle-low (~300Hz) and low (~115Hz), and allows to adjust the volume of each frequency range independently. 8 types of preset EQ is included, as well as the option to fully customize your own frequency-volume settings, and you are free to perform with the sound of your choice. Wood keyboard ARHA-3W conveys the feeling of real keys that every pianist desires. The RHA-3W was born with the sole objective of creating a keyboard as close as possible to acoustic piano keys, and presents the best qualities of acoustic key touch on a digital piano. Enjoy the sensation, with the new MK11 digital baby grand player piano. 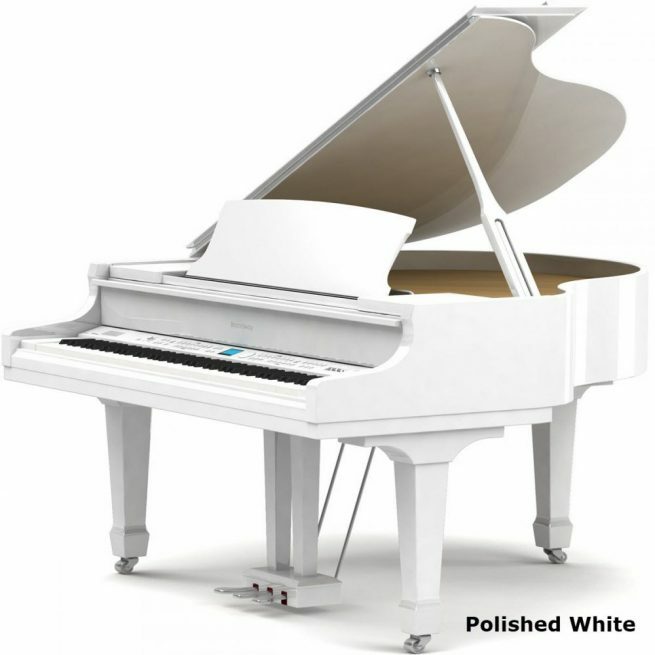 detailed process ensures that the keys would be of fine quality and close to the feel, weight and touch of acoustic piano keys. In order to better represent the touch response of acoustic piano keys, the keys of RHA-3W grows in weight as it moves towards the bass and vice versa, allowing the pianist more natural control over the keys. The triple sensor system of RHA-3W, a creation of technical expertise, allow extremely fine key movements to speak out. Equipped with three sensors that keep track of the subtlest movements of the keys, RHA-3W reacts more sensitively to the movement of its keys and translates that motion into a realistic and breathing piano performance. The Virtual Pianist is a feature that ‘performs’ its keyboard automatically in accordance with a demo piece that is being played. This used to be something that was only possible by adding on an expensive device to an already expensive acoustic piano, but the technology came up with a self-playing system independently, requiring no additional devices and easily accessed via simple controls. There is a free music library consisting of about 1,300 pieces coming from different genres to be played through the player system for enjoyment, without needing an accomplished pianist. Recording is easily accessible by connecting to external devices (computers, tablets or smartphones) via USB audio, and playing recorded material is just as simple. 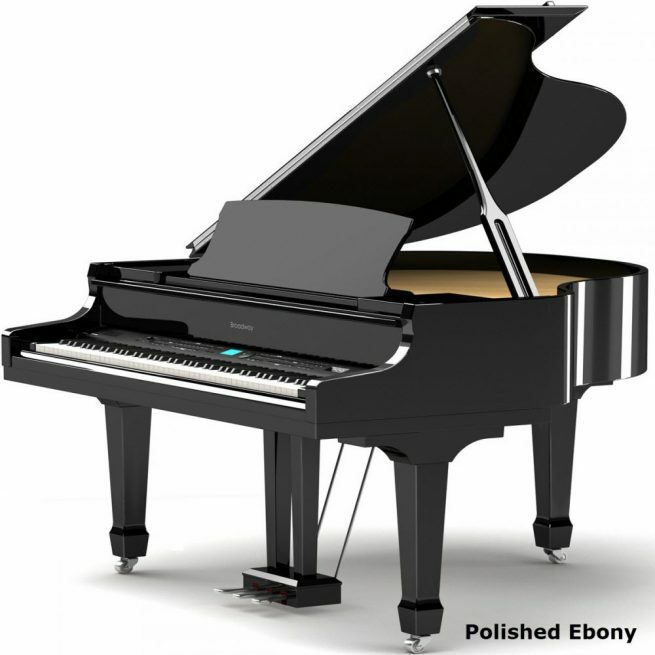 The piano is also capable of playing music files stored in an MP3 player. The USB features support Windows/Mac/iOS/Android systems. Actual compatibility may vary depending on the specific version and the types of the app. Pianists control the amount of sustain they get when using the damper pedal by adjusting how deep they press it. In order to further enhance playing experience, it incorporates the half pedal feature which is designed to respond to the depth of the pedal to provide the players with the ability to perform the delicate control that they exercise on acoustic pianos. The acoustic grand is a source of many different resonance phenomenon. Having captured these subtle elements of piano sound into its digital lineups, there is also the option to control the strength of these various resonance effects so that anyone would be able to set up the configuration that suits oneself. 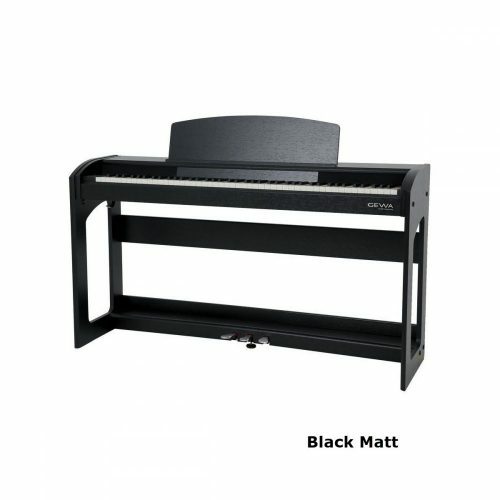 In order to conserve energy and reduce power consumption, this piano is equipped with an auto power management system that turns the power off following 30 minutes of inactivity. Equipped with high-end spec woofer and tweeter speakers, the MK11 produces a more realistic sound than ever before. Its 2-way, 6 speaker composition offers abundant and powerful sound. 1) Find a site online that has MIDI files (mfiles.co.uk is a good site). It should then play and the keys will move. Alternatively you can connect a cable from the USB port directly to your computer. How many extra songs can be stored on the USB stick? The USB stick can hold 7.36GB of data. you can add more than 50,000 more songs. them play through the piano with the keys moving? them through the piano with the keys moving. the piano, but the keys won’t move. save it, then play it back with the keys moving? I would love to have a baby grand piano for a house we are renovating and moving into in a few months. I don’t play at all but love the idea of a self play. I am very interested in your rental scheme with option to buy. I have a few questions, Is there anywhere I can download a list of the songs that are pre loaded ? How many additional songs would fit on the USB stick and can some of the pre loaded be deleted if not required and can an additional USB stick be bought? Can they be linked to a Tablet ? I understand they can be played as a normal piano if required ? can load onto there more than 50,000! Yes, it can also be played as a normal piano. now have the space in the kitchen for one. America and although I can’t play the piano myself, I simply love the sound. It has over 1,000 popular songs stored on the USB stick. up and down in sync. It is possible to add more songs to the USB stick. on to the USB stick and played through the piano. We might want to purchase a self playing piano for our hotel lobby. Would you please let us know what you have? Yamaha make the best self-playing acoustic pianos. The Broadway is popular among hotels, bars and restaurants. music, and all the most popular ones are there. remote control that comes with it. or USB cable, whichever you prefer. The keys also move up and down when it self-plays. It can also be operated with the remote control. May I know which hotels/restaurants etc. have been using the Broadway MK11? and is in many shopping centres througout the UK. (over 1000 available built-in to the piano). The volume level is large, so you can adjust it to what you want. It can also be controlled remotely. Question/ I am looking for a piano to entertain… pretend to play/karaoke i bought one about 10 years ago (Suzuki) great for partys but takes floppy discs and now out of date. 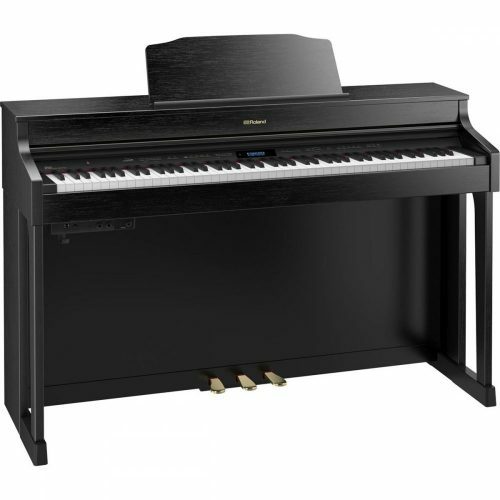 The Broadway MK11 is certainly the most entertaining Digital Grand available, it has a self-playing feature where the keys move up and down (the only Grand Piano that can still do so) and with a wide internal library of songs, incorporating some fine Classical and Jazz compositions, it is a most impressive instrument. You will be able to load your personal favourites very easily and even download your own choices by loading MIDI files onto the provided USB memory stick. 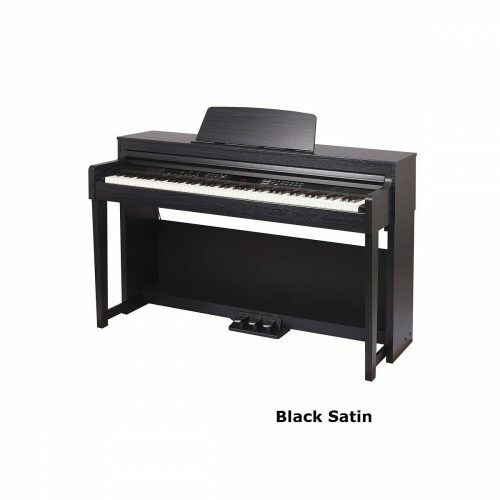 Naturally, the piano can be played organically also and a wonderful instrument it is too, with a very authentic key touch and soundboard containing a spread of precise and highly refined speakers to reproduce a stunningly warm and accurate piano sound. It is also available on rent-to-own for £199 per month. The Broadway MK11 is similar to the old, discontinued Robertson RP3000. Question/ How do I download additional songs and put them on the piano? Reply/ There are several file sharing sites which allow for download of MIDI files to load onto your USB stick. A classical music site I found was mfiles.co.uk – I would encourage you to also look at several others on Google. Once the files are loaded onto the USB stick then insert the USB stick into the piano and they will be available to select on the LCD sceen. The piano will play any piano piece or piano song and the correct keys will move up and down on their own. It’s quite amazing!